Come and Explore Spiritual Listening! "I Will Listen for Thy Voice"
Janet will lead us through the practical steps of spiritual listening, using Mary Baker Eddy’s poem* and our beloved hymn “Feed My Sheep” as our guide. 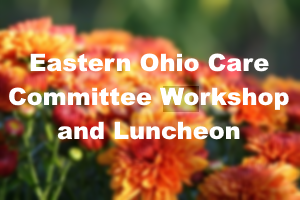 The Overlook House Trustees Report, Upward Wing Christian Science Nursing Report, and Volunteer Recognition will be followed by a complimentary luncheon generously donated by our friends at Don’s Pomeroy House Restaurant. RSVP Required: Please register those attending the meeting and luncheon online www.upwardwing.org/registration or by phone (216) 795-3550 by November 5th. Click here to meet our Speaker in our 2018 Newsletter! Join us at Glenmont for International Christian Science Nursing Day! Glenmont, our Christian Science Nursing Facility and sister organization in Ohio, has invited Upward Wing to join in its celebration with Christian Science nursing facilities and Christian Science organizations worldwide. Take a journey with us through the Bible as we explore biblical examples of nursing our fellow man. Bring your children or grandchildren for learning activities organized just for them! Visit stations and receive a gift at each one, including a booth hosted by the Upward Wing Christian Science Nurses! We will enjoy a bible-themed lunch. For more information, and to reserve transportation to Glenmont, contact the Overlook House & Upward Wing Business Office at 216-795-3550. Click here to view the Christian Science Nursing Days event schedule and watch a video of participating organizations worldwide! 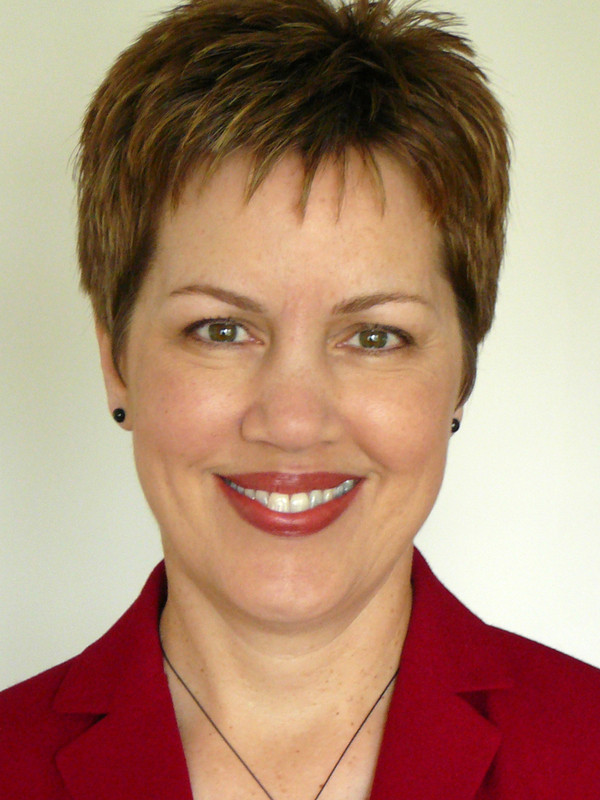 Please join us at our Annual Meeting on Saturday, November 4th when Christine Hein of Tenacre will present her workshop entitled, "Our Healing Ministry: A Sacred Trust." In preparation for Christine's workshop we have invited you to prayerfully consider our monthly topics. Click here to read more about our progressive study initiative and how you can share your inspirations with us at www.upwardwing.org/survey or visit www.upwardwing.org/sharingcorner for an interchange of fruitage and insights. We look forward to your sharing with us! 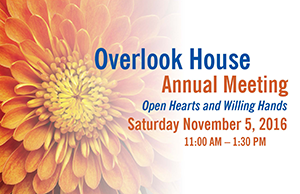 Join us on Saturday, November 4, 2017 when the Overlook House/Upward Wing Visiting Christian Science nursing service will host its annual meeting at Don's Pomeroy House Restaurant in Strongsville, Ohio. It is open to all interested in learning more about the role that Christian Science nursing plays in our healing movement. The meeting will begin with a workshop led by Christine Hein, Director of Christian Science Nursing at the Tenacre facility in Princeton, New Jersey. 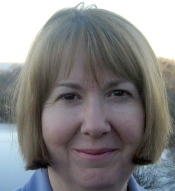 She will share an inspiring and encouraging look at Christian Science nursing in this workshop entitled: "Our Healing Ministry: A Sacred Trust." Following, you are invited to stay for a complimentary luncheon. Read more about this event in our latest newsletter. We look forward to seeing you on November 4th! First Church, Pittsburgh is hosting a regional gathering with Glenmont Christian Science Facility Staff and Pamela B. Fitzer, Pennsylvania's Committee on Publication. Sunday, September 10, 2017, at 2:00 PM First Church of Christ, Scientist 201 N. Dithridge at Bayard Street in Oakland. Glenmont has been awarded First Place in the Ohio Department of Aging's 2014 rating of 963 Ohio Facilities. Lydia Manfreda, Administrator, and Helvi Paasinen, Director of Christian Science Nursing have graciously initiated this event. Ms. Manfreda will explain details involving Medicare, Medicaid, insurance, benevolence and Glenmont's business aspects. Ms. Passinen will discuss the nursing facility and Glenmont's Nursing School. From Pamela Fitzer, Committee on Publication for PA: As you know, there is a lot in the news about the health care laws being considered. Isn't it comforting to know that Mrs. Eddy has taught us that "health" is in the third degree and that we have perfect and free health care by reflection? (See page 116 of Science and Health)" Third degree: Understanding. Spiritual. Wisdom, purity, spiritual understanding, spiritual power, love, health, holiness." Mrs. Fitzer will present how the Committee on Publication is working on both state and federal levels to clear misconceptions of Christian Science. This is an opportunity for us to meet Pennsylvania's new Committee on Publication and to learn how we can support Christian Science healing and the Committee's work. For those interested and not able to attend there will be internet and telephone options. Skype - FCCS.Pittsburgh Free Conference Call - 712 775-7031 code: 410966#. The Glenmont presentations and Mrs. Fitzers talk will be 15 - 20 minutes each. Please RSVP to Wren Price, Clerk at: [email protected] or 412-621-5339. It is important to RSVP so that there will be enough Glenmont information packets. Those attending by remote can receive materials by mail. Presented by the Upward Wing Christian Science Nurses. Welcoming church care committees located in the eastern portion of Upward Wing's service area: First Church, Canton; First Church, Chagrin Falls; First Church, Chardon; First Church, Cleveland; First Church, Cuyahoga Falls; First Church, Elyria; First Church, Hudson; First Church, Medina; First Church, Rocky River; First Church, Willoughby; First Church, Wooster; First Church, Youngstown. This workshop will explain the mission of Upward Wing Visiting Christian Science Nursing and what services we offer to Christian Scientists seeking healing. A section will be included which will demonstrate what might be helpful to ushers as they welcome church attendees. Have your church register up to 3 Care Committee Members or church representatives online at www.upwardwing.org/registration or call 1-855-276-4968! You are cordially invited to join us Saturday, November 5th to explore how the quality of willingness is essential to the practice of Christian Science nursing and to the progress of Upward Wing. Ann Tomlinson Basil, C.S. will present her keynote address entitled: "Open Hearts and Willing Hands." Chairman Jon Ferrell will speak on our spiritual call to action in his talk entitled: "Where Will Willingness Take You?" The Overlook House Board Report and Upward Wing Christian Science Nursing and Field Training activity reports will be followed by a complementary catered luncheon. Luncheon generously donated by our friends at Don's Pomeroy House. RSVP Required: Please register the names of those attending the meeeting and luncheon online at www.upwardwing.org/registration. "Willingness springs from the active acknowledgement of the unerring operation of God's law." We look forward to seeing you on November 5th! Please join us Saturday, September 24th to hear the talk entitled: "Learn to Pray and Heal (a spiritual adventure)" by Nate Frederick, CS. 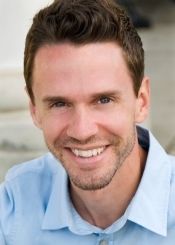 Nate is a lecturer of Christian Science and the Manager of Media Productions for the Christian Science Board of Lectureship. He also originated a program of 2-min inspirational messages called Your Daily Lift. You can hear his lifts HERE. This lecture is sponsored by First Church of Christ, Scientist, Cleveland, Ohio. Welcoming church care committees located in the western portion of Upward Wing's service area: First Church, Lima; First Church, Mansfield; Massillon Society; First Church, Maumee; First Church, Toledo; Second Church, Toledo. Can we break the chains of materialism? Discover how prayer brings freedom! Join us for a talk by international speaker, John Tyler, a practitioner and teacher of Christian Science healing and a member of the Christian Science Board of Lectureship. Come to our annual meeting and hear how we are working together with our church community to accept Love's bounty through the channels of Upward Wing's Visiting Christian Science Nursing service and its growing Volunteer and Field Training programs. Study references in preparation for her talk are available in full-text printable format at www.upwardwing.org/annualmeeting2015 and cover Psalms 47:7 God, Science and Health 141:10, and Pulpit and Press 3:7-12. A complimentary luncheon will be served following the Overlook House Board Report and Upward Wing Nursing Report. 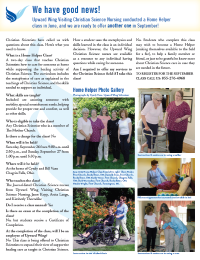 The Christian Science nurses of Upward Wing are offering a second Home Helper Class on Saturday, September 26 from 9:00 AM - 2:30 PM and Sunday, September 27 from 1:00 PM - 5:30 PM at the home of Cyndy and Bill Vasu, Chagrin Falls, Ohio. Click here to download the event flier for class details and call 855-276-4968 to register! Have you ever sensed that a friend, a family member, or a fellow Christian Scientist needed your help in a practical way? Did you desire to know more about how you might assist them and also support the healing activity of Christian Science? Upward Wing Visiting Christian Science Nursing Service is offering a Home Helper Class that may answer some of your questions. The class will address assisting someone with mobility, nourishment, suggestions for allowing proper rest and comfort, as well as other topics. Metaphysics based on the teachings of Christian Science are the basis for all the care that will be discussed in the class, and will be taught side by side with the skills needed to support the individual. The Home Helper Class will be offered at no charge on June 27th and 28th in Lakewood, Ohio in a home of a Christian Scientist. If you are interested in registering, and for more information, please call Upward Wing at 855-276-4968. First Church of Christ, Scientist, Canton invites you to a talk entitled: "How You Can Change the World," given by Tom McElroy, CS on Tuesday evening, June 2nd at 7:30 PM at the Hilton Garden in located near the Akron airport. Tom McElroy is a member of the Christian Science Board of Lectureship who has spoken at probation facilities, universities, public schools, churches, and for public service groups -- like those serving homeless and at-risk youth. His message has a unique appeal for young people and those young at heart. Join us to find peaceful solutions through prayer. The Roundtables are small, intimate gatherings of church members interested in the healing practice of Christian Science, and are guided by a facilitator provided by the Department of Practitioner Activities of The Mother Church. Roundtable (C) - for Journal-listed practitioners. Roundtables (A) and (B) will be held on May 16 at 10:00-12:30 p.m. and 2:00-4:30 p.m., respectively. Roundtable (C) will be held on May 17 from 2:00-4:30 p.m. at the Chagrin Falls church. Since seating is limited to 40 members at each session, please RSVP as soon as possible to have us save a place for you. or Call Kathy Victor at (440) 893-0026 (Chagrin Falls location); Barb Warsinskey at (216) 226-5796 (Rocky River location). When registering online, please indicate whether you will be attending Roundtable (A), Roundtable (B), Roundtable (C), or any combination thereof. In addition, please indicate which location you will be attending. If you would like more information about the Practitioner Roundtable meetings, please visit The Mother Church’s website at: http://christianscience.com/member-resources/for-individuals/christian-science-practitioners/christian-science-practitioner-roundtables. There you will find a link to an interview with Connie Coddington, Manager of Christian Science Practitioner Activities, in the August 2014 issue of The Christian Science Journal. The members of the Chagrin Falls, Medina, and Rocky River churches look forward to joining with you to think more deeply and to strengthen the shared commitment to the healing practice of Christian Science. 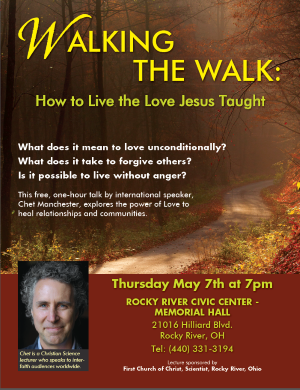 The members of First Church of Christ, Scientist, Rocky River invite you to hear a talk by Chet Manchester, CSB entitled "Walking the Walk: Living the Love Jesus Taught," inspired by the unconditional love spoken of by Jesus in his Sermon on the Mount (Matthew 5-7). Click on the image to view or print the event flier. If God is All, Where is He at this Moment? This talk is a community service from your friends at First Church of Christ, Scientist, Maumee, Ohio. 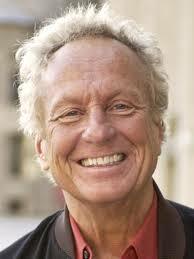 Mr. Adams, from New York City, is a member of the Christian Science Board of Lectureship. Join our Board and Christian Science nurses for a presentation of 2014's progress reports and a complimentary luncheon on Saturday, November 8th at LockKeepers Restaurant in Valley View. We are pleased to announce Lesley Pitts, former Executive Manager and President of The Mary Baker Eddy Library, as this year's keynote speaker who will present the history of Christian Science nursing and Ohio's contribution to this healing service in a talk entitled: "Christian Science Nursing ~ a natural activity for us all." RSVP Required: Register the names of those attending the meeting and luncheon by November 3rd. Discover that evil cannot be defeated with evil, but that it can be overcome and destroyed through our prayers and good efforts. Parking at Cedar Hill Baptist Church, 12601 Cedar Road ~ Complimentary shuttle service to and from The Alcazar Hotel. A Workshop on Medicare and Advance Health Care Directives for Christian Scientists. Learn how to legally protect your right to receive Christian Science care. 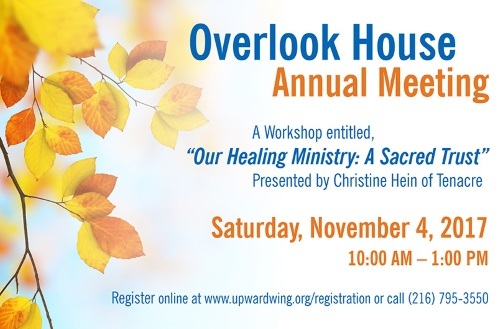 This workshop is a gift to you from Overlook House and Upward Wing Christian Science Nursing. Please join us on August 2, 2014! Click here to learn more about Advance Health Care Directives from the Upward Wing Christian Science Nurses. "Mortals are free moral agents, to choose whom they would serve. If God, then let them serve Him, and He will be unto them All-in-all." 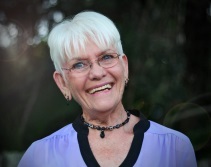 International speaker, Mary Alice Rose, is a practitioner of Christian Science healing and a member of the Christian Science Board of Lectureship. Free -- All are welcome! Celebrating 115 years in Canton with an Open House ~ Sunday, November 24th from 2 - 4 PM. Join the members of First Church, Canton in celebrating the presence of Christian Science in the Canton community. Enjoy music and light refreshments! Keynote Address by Catherine S. Shiel, CS of Port Charlotte, Florida entitled: "God, the Christian Science Nurse, and You." Financial and Upward Wing Christian Science nursing reports will be followed by a complimentary luncheon. Saturday, November 9, 2013, 11:00 AM to 1:30 PM at Lockkeepers Restaurant in Valley View. RSVP required Please register the names of those attending the meeting and luncheon online or by phone prior to November 4th, 2013. www.upwardwing.org/registration (216) 795-3550 Click here to register. A talk that explores the power of God's love and how it heals fear of all kinds. By Ginny Luedeman, C.S.B. We can trust God to bring us out of our darkest hours... is a promise of hope to everyone. Understanding the spiritual basis of this hope moves us from a limited sense of things to infinite possibilities and solutions, blessing both us and our communities. This event is jointly sponsored by First Church of Christ, Scientist, Chardon and First Church of Christ, Scientist, Willoughby, and will be held in the Reinberger Room of the Holden Arboretum. Admission, including parking, is free, and all attendees are welcome to enjoy the facilities and grounds after the lecture. You are invited to a free talk on Sunday afternoon, September 29th, given by John Q. Adams, CSB of New York City, New York entitled: "Defeating Violence with Prayer." Sponsored jointly by First Church of Christ, Scientist, Toledo and Second Church of Christ, Scientist, Toledo Ample parking is available. You are invited to a Christian Science talk by Jill Grimes, CS entitled "God is speaking -- are we listening?" in our individual spiritual language. This lecture is sponsored by First Church of Christ, Scientist, Canton. For more information call 330.452.6342 (Tuesdays and Thursdays in May; Monday through Thursday in June). Driving Directions: When exiting Interstate 77 at the Akron Canton exit, proceed to the airport entrance and turn left at the light in front of the airport. Hilton Garden Inn will be on your left across the median. 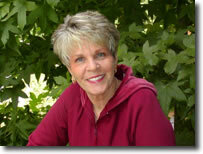 Click here to view the event flyer and read more about speaker Jill Grimes. Come join us for a talk given by Glenmont board and staff members, and hosted by First Church, Elyria. You will hear how Glenmont, a Christian Science Nursing Facility near Columbus, Ohio is serving your community, and meet the Overlook House Board of Trustees and the Upward Wing Christian Science Nurses who maintain home-based CS nursing care in Northern Ohio. As Christian Scientists we share a common mission: "This apodictical Principle points to the revelation of Immanuel, 'God with us,' â€” the sovereign ever-presence, delivering the children of men from every ill 'that flesh is heir to.' Through Christian Science, religion and medicine are inspired with a diviner nature and essence; fresh pinions are given to faith and understanding, and thoughts acquaint themselves intelligently with God." S&H 6:7-14 We invite you to come and share your questions, thoughts, and concerns about the Christian Science nursing care available to you, and learn the many ways you can support local CS nursing. Family and Relationships United in Love! A Free Presentation sponsored by First Church of Christ, Scientist, Maumee, Ohio. Overcome Grudges, Resentments, and Anger that keep people Apart! Don't we need more harmony in our lives, the community and our world? Come and bring your family and friends to this inspirational talk, given by Evan Mehlenbacher, CSB of Richland, Washington on Friday, May 31st. 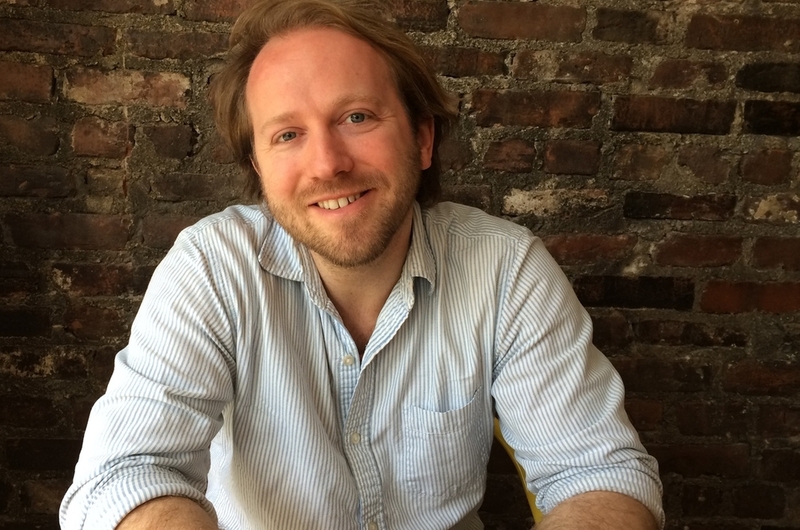 To learn more about the speaker for this event visit Evan Mehlenbacher's website. The Overlook House Board of Trustees conducted its first-quarter business meeting on Sunday, January 13th hosted by First Church, Medina. Included on the Agenda was the planning of the first Annual Meeting of Overlook House & Upward Wing scheduled for Fall 2013. Of special note, the Board will review the annual budget for 2013 in preparation for the CSN contract renewal, event planning, and fund raising in the coming year. Upward Wing invites you to a free workshop and luncheon! 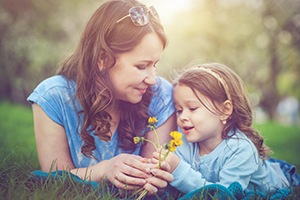 New parents, grandparents, and friends will receive fresh inspiration that they can use to support loved ones who are relying on Christian Science in the care of infants and young children. The Board will convene for its third-quarter business meeting. 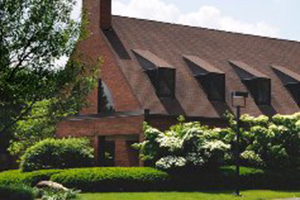 The Upward Wing Christian Science nurses will introduce the Upward Wing service to the membership of First Church, Willoughby on Sunday, June 24th at 3:00 P.M. 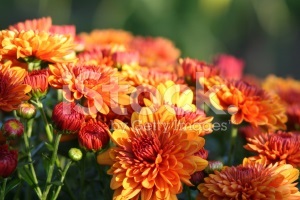 The Executive Committee will meet to review the financial plan for 2012. 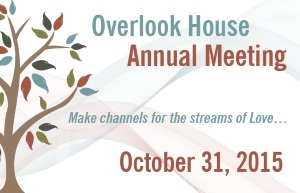 The Overlook House Board of Trustees will hold its fourth-quarter meeting to review the 2012 CSN contracts.